Adrian Buckmaster – Grad I Fire E, Dip Mgmt. 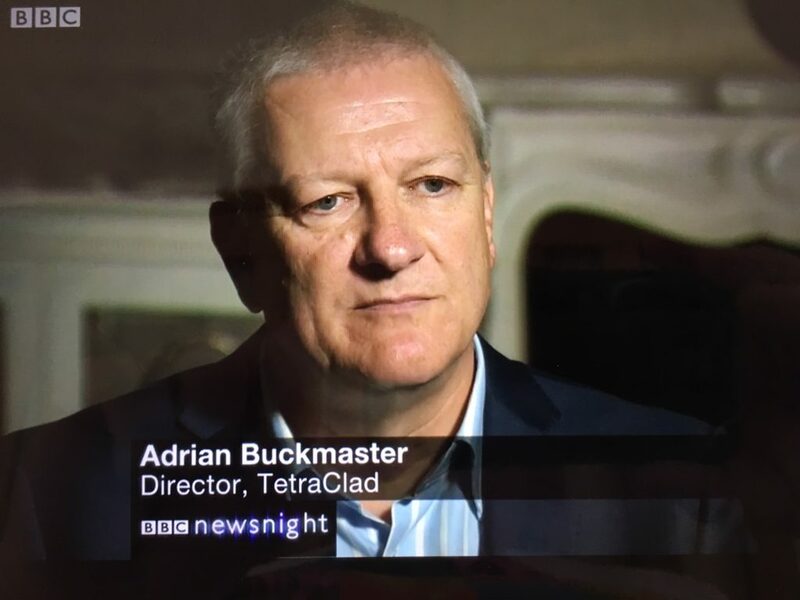 Adrian formed Tetraclad in 2015 with his co-directors Michael Turnwell, Matt Swaffer and Ben Lockerby having spent many years in the industry. His experience comes from having been operational for seven years in the West Midlands Fire Service, fifteen years, both supply and contracting, in the Passive Fire Protection Industry and nineteen years in the Cladding Industry. Adrian is campaigning for improvements to the Building Regulations and Approved Document B relating to fire as well as generating a better awareness of the implementation of the regulations through training presentations, public speaking, consultancy and social media. He has provided editorial and been interviewed by BBC Newsnight, Channel 4 Dispatches, Construction Enquirer, The National and other media sources. As an active member of the Institution of Fire Engineers he has attended workshops reviewing the Approved Documents and has witnessed many fire tests at centres such as Exova and BRE to gain better understanding of the performance of materials in relation to fire. Outside of work Adrian is a keen musician, playing Cello and Flugelhorn as well as being proud of his four grandchildren.